June 20 LIVE on NJPW World: the NEVER 6-Man belt on the line & G1 Climax participants to be announced! Get ready for a rowdy return to Korakuen Hall, as New Japan Pro-Wrestling prepares to unleash the G1 Climax on the world! On June 20th, the participants of this year’s G1 Climax tournament will be announced, setting the stage for a summer filled with pro-wrestling excitement! In the main event, Taguchi Japan brings its A-game to take on the NEVER 6-Man champions: LIJ’s SANADA, BUSHI & EVIL. This formation of the venerable psuedo-baseball/soccer/pro-wrestling clique see Coach Taguchi, KUSHIDA and Juice Robinson join forces to attempt to topple the dominant LIJ trio! 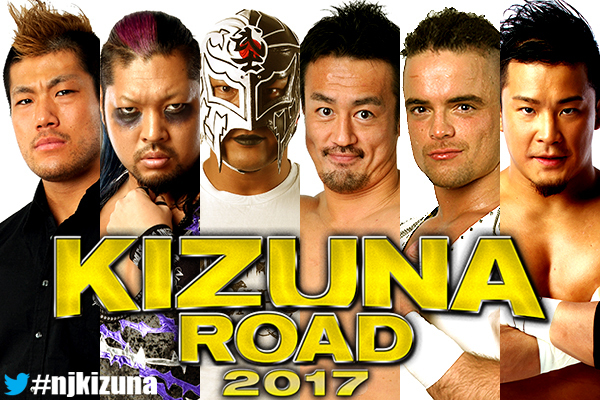 IWGP Junior Heavyweight champ KUSHIDA will be looking to prove his abilities against rival BUSHI.